The faculty at St. Roch uses a team approach to academics to coordinate instruction across all grades and in all subjects. Our full time learning consultant assists student progress in and out of the classroom. The consultant helps in developing study and organizational skills. Test taking strategies are also taught. By working collaboratively, teachers are better able to help students develop as a class while taking into account individual needs. 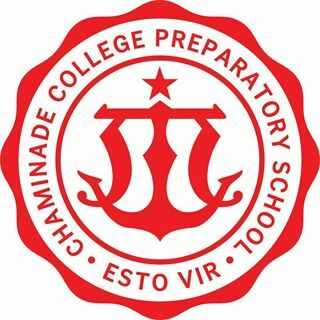 Students in all grade levels attend Physical Education class twice weekly and participate in Spanish class once a week. Students in Kindergarten through eighth grades also attend Art, Music, and Technology classes twice a week. Students in our elementary school visit our school library for story time and book check-out weekly. In addition, St. Roch offers various extra-curricular activities to further the students education. St. Roch’s progressive approach to education incorporates technology and advanced teaching methods to spark students’ imaginations and increase their desire to learn. 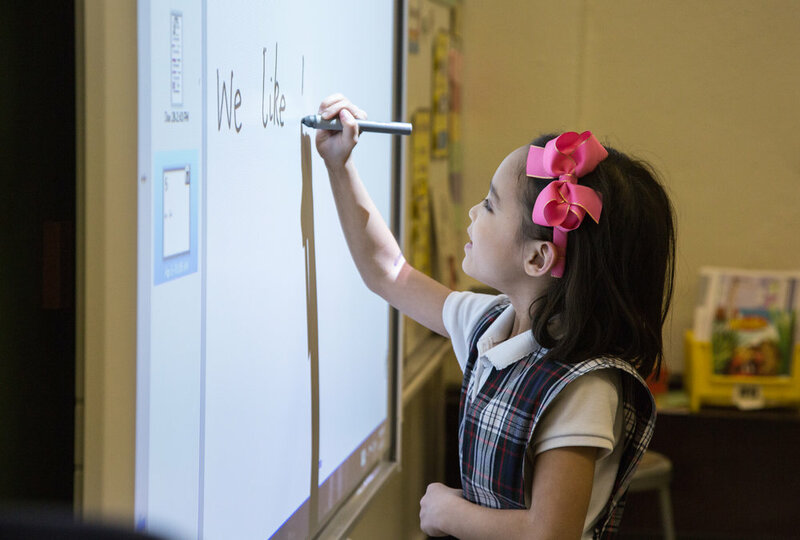 In the classroom, teachers use interactive white boards called SMART Boards that allow students and teachers to draw, type, highlight lesson notes, use interactive graphics, and launch websites. SMART Notebook software enables teachers to design lessons with interactive graphics. SMART Boards are used in all classrooms, including the computer lab, art room, and music room. Students also use Android and iPad tablets in many classes. St. Roch students are proficient with a variety of computer technology including programming and coding, robotics, movie making, spreadsheet development, and online research. A full-time learning consultant works with students who learn differently – during class, in small groups, and individually – to help them learn skills and strategies to aid in their academic achievement. The consultant also works with teachers to develop a variety of teaching techniques to appeal to different types of learners. By the time students graduate St. Roch, they are well prepared to tackle the challenges of high school. Based solely upon test scores, they likely have a head start as well. From second grade on (when the first standardized tests are taken), St. Roch students consistently improve upon their NPR* score showing they are gaining on their peers nationally. By the time they reach eighth grade, the difference of a St. Roch education can be seen in these scores. In 2016, the graduating class achieved a National Percentage Ranking (NPR) of 90% overall on the Iowa Test of Basic Skills, a nationally standardized achievement test for K-12 students taken by over three million students. *NPR indicates the status or relative standing of a student in comparison to other students. The scale ranges from 1 to 99 and indicates the percentage of students who earned higher or lower test scores. For example, if a student earned a percentile rank of 90, it means that he/she scored better than 90 percent of the students in the norm group, and that only 10 percent scored as well or better. In addition to these test scores, the Iowa Test of Basic Skills also provides a grade equivalent. In the majority of categories, this year's graduating class was performing as well on the test as a senior in high school or a graduate of high school would have performed on the same test. 100% of St. Roch graduates in 2016 were accepted into their first-choice high schools.